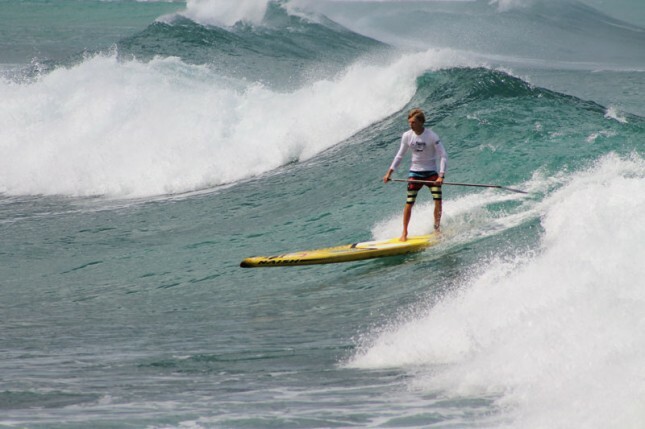 The Stand Up World Series Finals have just wrapped up @ Turtle Bay on Oahu’s North Shore (Hawaii). 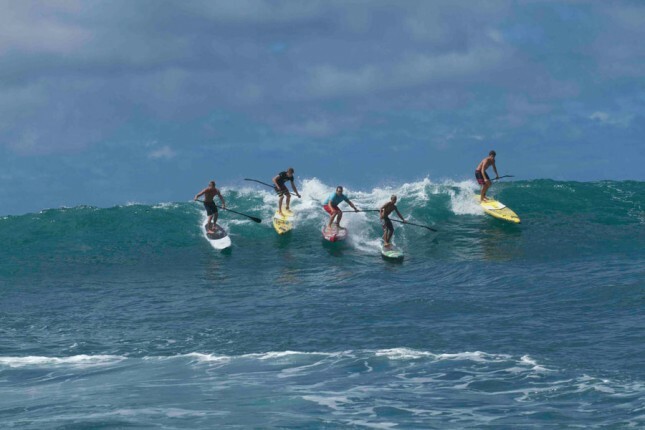 Saturday was the Long Distance race from Turtle Bay to Haleiwa, while today it was the awesome “Paddlecross” Knockout Sprint races. 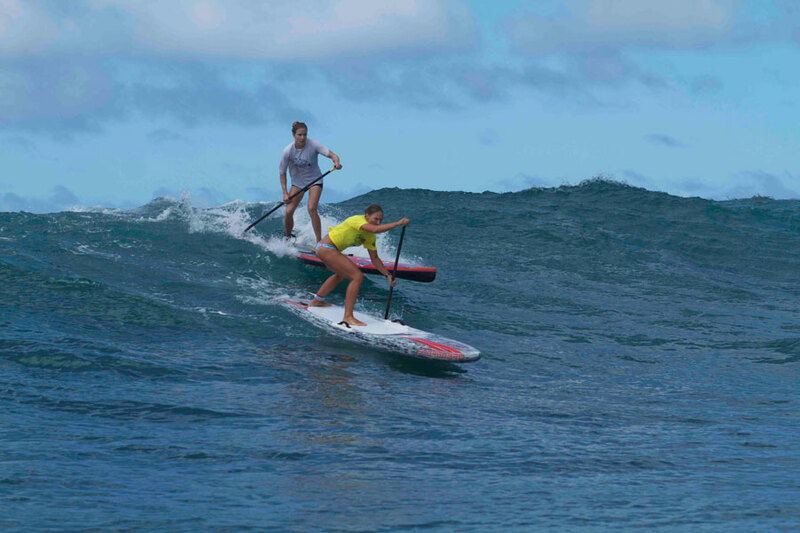 This was the final event of the inaugural Stand Up World Series, with Kai Lenny and Connor Baxter coming into the weekend battling it out for the overall 2012 Series victory. Kai drew first blood on Saturday, chasing down Connor Baxter to win the Distance Race by almost two minutes (WATCH: Stand Up World Series Finals – Distance Race Video). Things were a little less predictable in Sunday’s Sprint Races though, with a solid swell producing plenty of waves (and carnage). But despite the conditions and the talent that was on display, Kai Lenny managed to take out the win for the second day in a row. 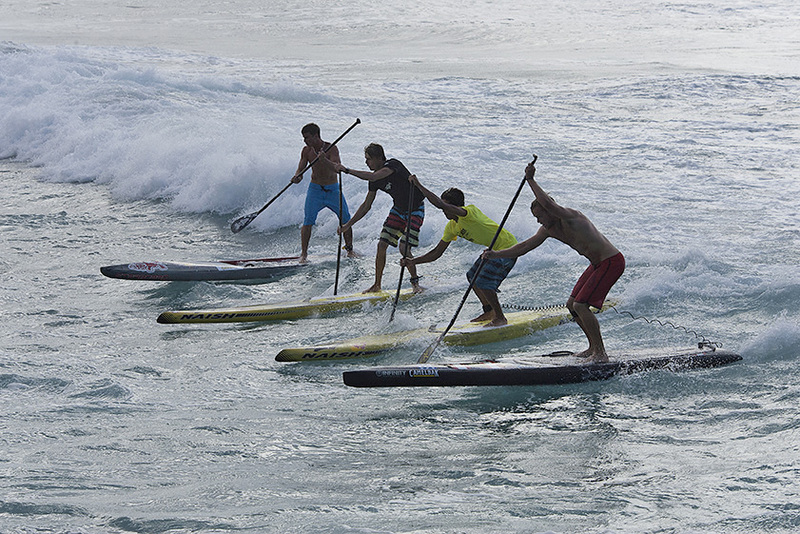 Kai snatched first place in a four-way photo finish to make it a double victory this weekend. Crossing the line just centimetres behind Kai were Casper Steinfath (aka the Danish Viking), Slater Trout and Zane Schweitzer. Steinfath’s result in the sprints, combined with his solid effort in the Distance Race gave him third place overall for the weekend. Not a bad effort for a guy who lives in the cold of Scandinavia and trains solo most of the year. Kai’s victory on the North Shore means the young gun from Maui also takes out the inaugural Stand Up World Series Championship title; another trophy to go along with his 2x SUP surfing World Titles. Meanwhile in the women’s race this weekend, Annabel Anderson was too strong for the competition. The New Zealander took out both the Distance Race and Knockout Sprints, and in doing so was crowned the 2012 Stand Up World Series Women’s Champion. Scroll down for the full results from the weekend, then take a look at all the action with our Stand Up World Series Finals photo gallery.